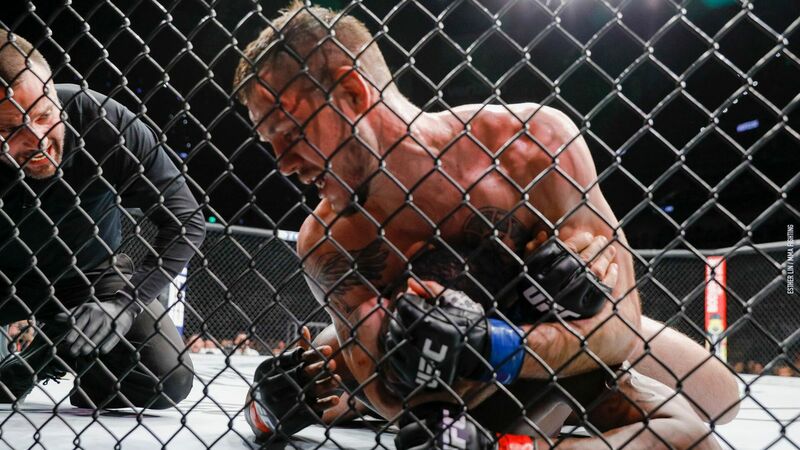 Nikita Krylov got his revenge on Ovince Saint Preux earlier tonight (Sat., April 13, 2019) at UFC 236 live on ESPN+ PPV from inside State Farm Arena in Atlanta, Georgia, when he choked out OSP via rear-naked choke in the second round. Saint Preux had submitted Krylov in their first meeting back in 2014. Saint Preux really looked flat in this fight. The former UFC light heavyweight title challenger did land some good shots here and there, but there weren’t really any moments where he shined. Krylov, instead, pushed forward and looked sharp in his striking and grappling. He was able to land a crucial takedown in the second round and quickly take Saint Preux’s back. OSP defended nicely until Krylov went deeper under the chin and forced the tap. Check out the finish above courtesy of UFC/ESPN. With this performance, Krylov gets back into the 205-pound win column after getting submitted by Jan Blachowicz last September in his UFC return. The 27-year-old light heavyweight has all the ingredients to put a good run together in a fairly thin division so it will be interesting to see if he can build off this win in 2019. UFC will likely want to push him back up the divisional ladder as quickly as possible. For complete UFC 236 results and coverage click here. Sexwünsche: Wie äußerst du sie gegenüber deinem Partner?